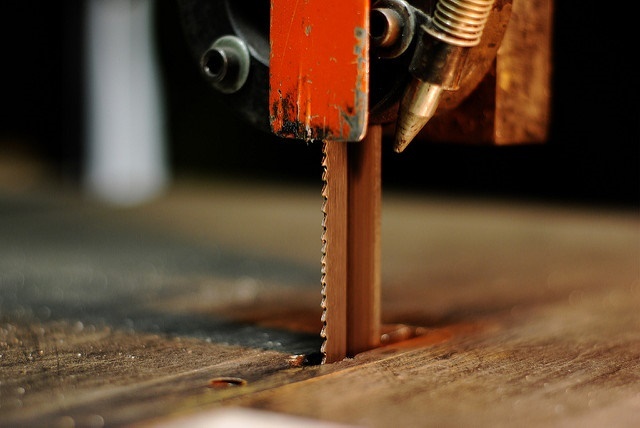 Bandsaws are versatile and useful tools that can be used to cut boards straight or to give them a curve or other shape to suit the woodworker’s needs. They allow you to create far more precise cuts than you would get with a handsaw, and they make the work a lot less tiring, allowing you to do far more work than you normally would if you were using hand tools. We are going to look at a few of the best bandsaw blades you can buy, but before we do, we want you to take a few things into consideration. There are different bandsaw blades for different bandsaws– Make sure you know what kind of machine you have so that you can get the appropriate blade. Not all blades will fit all machines. The older your machine is, the less likely it is to accommodate a wide range of blades. Rough or Fine- You can get a fast cut with the right kind of blade, but that tends to be a very rough cut. If you want something finer, then you need to choose a slower cutting blade. 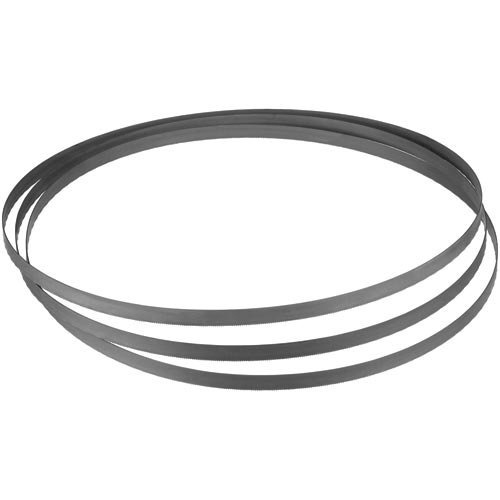 Check the source- Not all bandsaw blades are built to last. Some are made from inexpensive, light metal that will wear down quickly and won’t do a very good job of cutting through wood. You have to weed out the low-quality stuff and go for something that is made to last, if you want a decent return on your investment. What it is made for– Some bandsaws are designed to cut through only certain kinds of materials, so if you know what you will be cutting and what you would like to use the bandsaw for, then ensure that the one you are getting is built for it. Budget– If you’re on a budget, then you probably don’t want the most expensive bandsaw blade out there, but you also don’t want to just get a cheap one simply to save some money. You should look at this as an investment, and for a good investment, you need to spend some money to get a quality product. Just don’t go overboard and buy something expensive just for the sake of getting something expensive. Now that you know what to look for in a quality sawblade, let’s look at the top choices we have come across. If you want to buy your blades from a brand name, then these are a good pick. You get three blades for about $15, and they are all incredibly durable and designed to last for a long time. These blades are good for cutting through metal thickness, making them very useful. It is important to have high quality blades like these when using a tool like the DeWalt portable bandsaw. It can often be a seemingly weak tool, but when you have the right blades installed, it makes a huge difference. 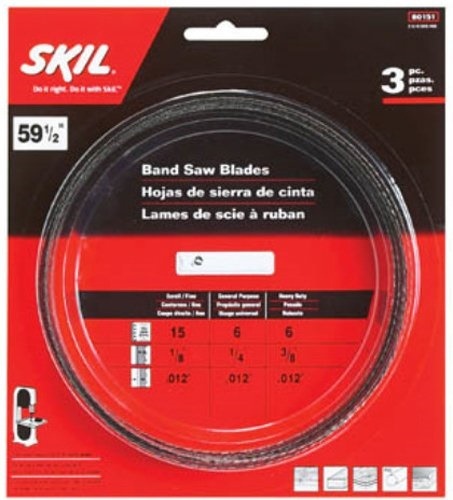 Most bandsaw blades are high quality these days, simply because the cheap ones are considered a waste of time, but you still have to be careful about where you get your blades from and who is making them. However, despite how sturdy these blades are and how versatile they are in cutting different materials, you may have some issues with trying to cut through stainless steel. That’s more of an issue with the bandsaw itself and the level of power it produces, but just be warned that you can wear out your blades prematurely if you use them on the wrong kind of material. This is a great blade for cutting wood of all kinds. It’s not really made for cutting much else, though you could use it to saw through softer materials, such as plastic, but you will need something more powerful and thicker to handle metal cutting. Be sure you use the appropriate kind of saw blade for each job and do your research on what the blade is designed for before you begin cutting. You can end up destroying your blade quickly if you are not careful. The Bosch blades have a heat-resistant structure that allows them to last for a long time, even under constant use, since they are able to withstand an incredible amount of heat and still function properly. The blades are able to handle even heavy-duty woodcutting, so you can use them for a ton of different jobs. They are also versatile enough to work with many different bandsaws, but you should check to see if your bandsaw is compatible with them before making a purchase. 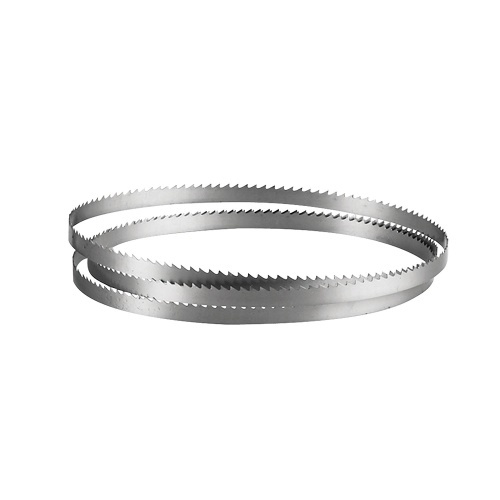 This is probably the most versatile inexpensive bandsaw blade, as it can be used to cut through non-ferrous metals, plastics and both thick and thin wood. It’s made from a single piece of metal, so you don’t have to worry about it prematurely cracking or splitting. It actually cuts better than many of the bigger name brands and more expensive saw blades, but you will have to test it out for yourself to see how well it works with your bandsaw and with the materials you are trying to cut. Those factors will determine how well it works, but in general, it is one of the most effective saw blades you can get on a budget. These are the kind of blades you want to use in every bandsaw, but unfortunately, you won’t be able to make it work for every brand. Be sure to check yours and find out if this blade is compatible before you buy. You won’t lose much money by picking them, but you should check for compatibility. 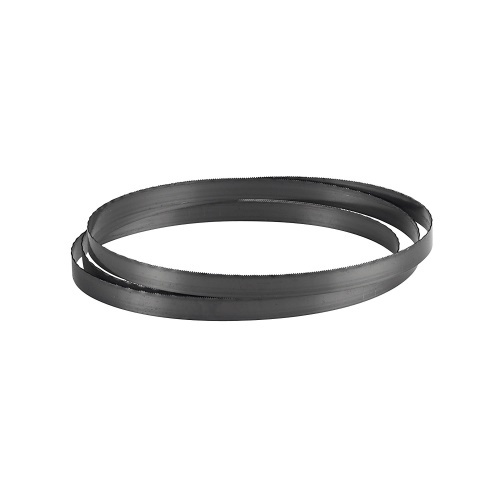 You will pay more for this bandsaw blade than you will for a lot of the others on this list, but you get a blade made from premium grade steel that is designed to resist heat and last you for a very long time. It’s one of the most durable saw blades you can get for under $20, and it is great at cutting through a wide range of wood and metal materials. There are limits to what it can cut, and you may find those out on your own or do some research to ensure you are not damaging the blades, but you can rest easy knowing that there won’t be much that can stop these blades once they start moving. 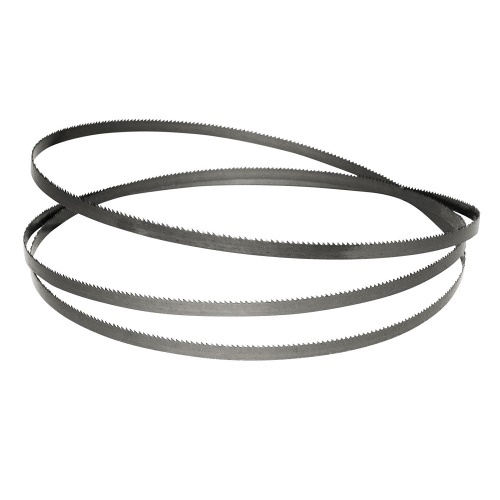 If you can afford the price, then we do suggest these as the top pick for bandsaw blades. Just be sure that they are compatible with your bandsaw. The extra few dollars you pay for these blades is well worth it, we think, because of the value they provide. Here is another premium grade steel blade that is incredibly heat resistant and a good value for those who are willing to invest slightly more than average in their sawblades. You can use these to cut through both metal and wood of varying thicknesses, and these blades are compatible with a wide range of bandsaws. There are some they won’t work with though, and you do need to be wary of that. Bosch sells a range of these blades, so make sure you are choosing the one that is appropriate to your particular bandsaw and to what you are trying to cut through. Now that you have seen our choices, hopefully you will be able to make a smart choice of your own. Keep in mind that different blades have different widths and pitches. These determine what thickness it can cut through as well as how rough the cut will be, so pay attention to that detail as you choose the right one for your needs. 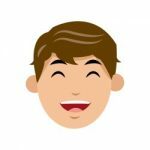 Whether it’s one of our recommended products in this review, or any other product, the most important thing is that the product you get suits your needs. Happy sawing!